Karim Rashid Woopy Kitchen Counter Bar Stool by B-line. Sleek, modern and effortlessly elegant kitchen counter high chair or bar stool from the B-line contemporary modern furniture collection. 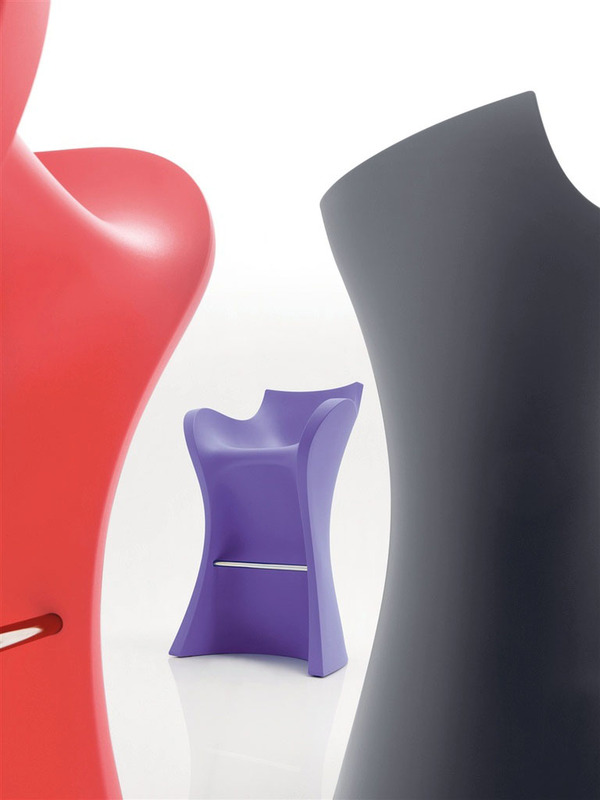 This beautiful sculptural modern bar stool was designed by Karim Rashid for B-line in Italy. 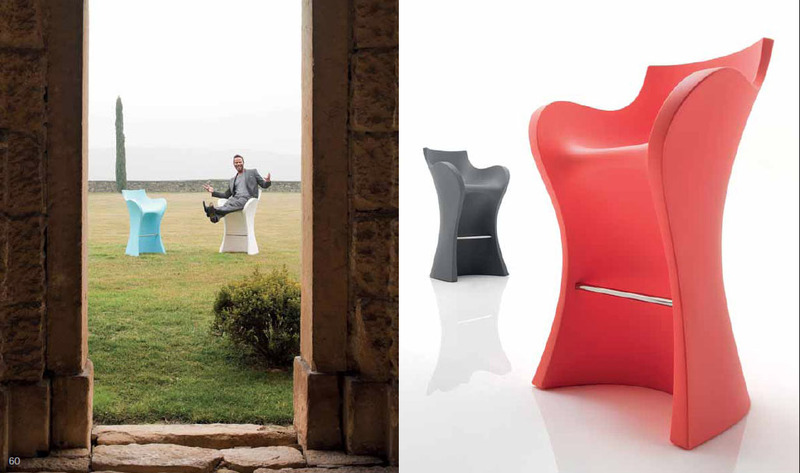 The inviting fluid shape of Karim Rashid's Woopy kitchen counter bar chair looks attractive from every angle. This modern free-flowing bar stool displays a form true to Karim Rashid's modern style. The Woopy kitchen counter bar stool brings together the meaning of form and function. A versatile, lightweight, durable and generously-sized small bar stool. It has a comfortable backrest and armrests as well as a chromium-plated tube serving as a footrest. 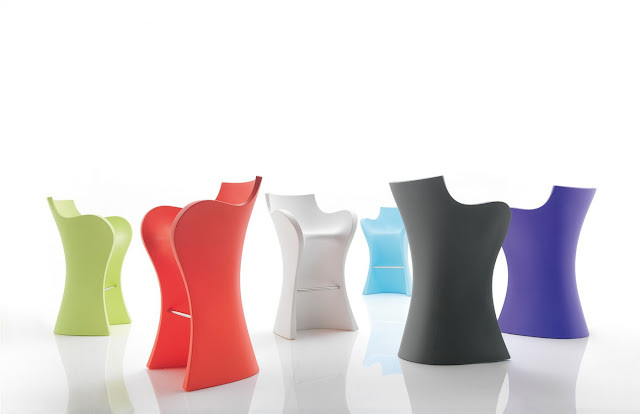 The Karim Rashid Woopy bar stool is available in a selection of delicious colors. 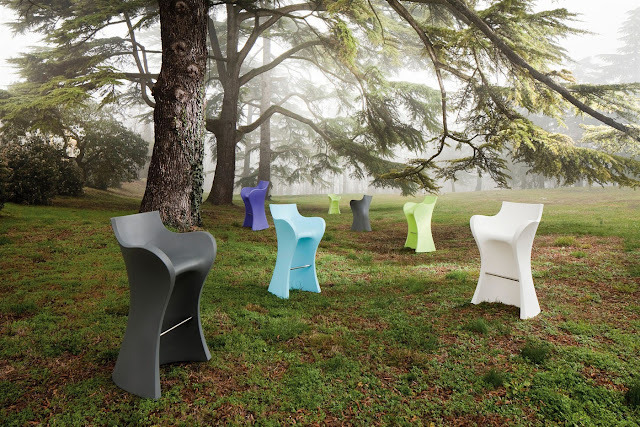 Suitable for both indoor and outdoor use, the Woopy kitchen counter bar stool is made from durable rotomoulded polyethylene. 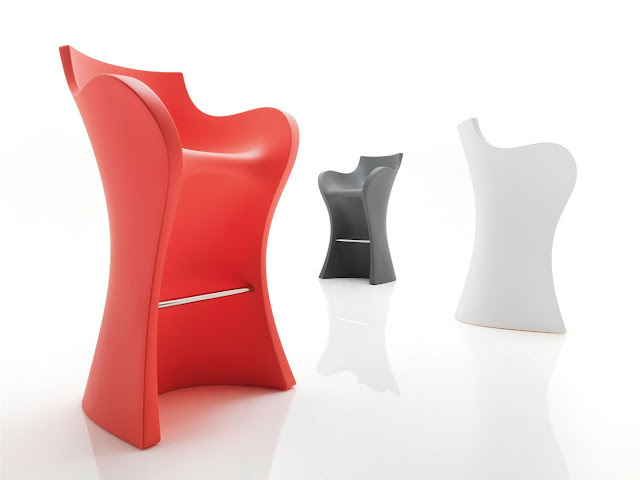 A very appealing modern bar stool; for use in upscale modern homes, spa resorts, hotels, bars, nightclubs, restaurants, etc. Each chair comes individually packaged in a box. Made in Italy.